If you weren’t here in class today, here’s the in-class reading/discussion. Please complete these attached questions regarding Machiavelli’s work The Prince. Many of these are philosophical and personal questions with no correct answer. 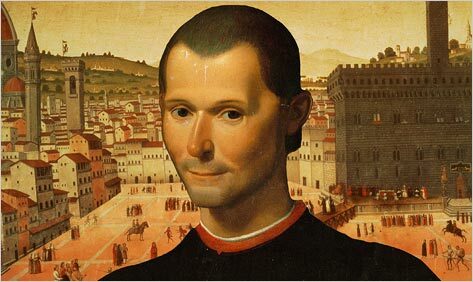 The goal of this activity is to get you to evaluate Machiavelli’s viewpoint and perspective. Please keep in mind that much of what Machiavelli wrote was dripping in sarcasm and directed to a person that he used to esteem. If you need to read an excerpt from the piece to help you, just remember that sometimes he’s not being 100% serious all of the time.